Ontario Lawyer Representing Victims Of Herniated Disks And Other Bone InjuriesSerious orthopaedic injuries often require extensive medical treatment and rehabilitation. 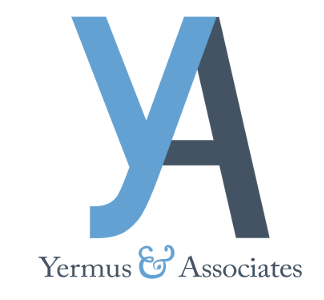 Yermus & Associates, and his legal team help clients in Toronto and the Greater Toronto Area (GTA) who have sustained catastrophic orthopaedic injuries such as serious bone fractures, herniation or muscle tears in making personal injury claims to cover the costs of their care. Serious bone fractures such as compound fractures or shattered bones can require extensive medical treatment. Some injuries may require surgery or the insertion of metal plates or screws to stabilize the bone. Furthermore, improperly healed orthopaedic injuries can result in future problems such as early arthritis, complex regional pain syndrome or chronic pain. In cases of serious fractures, we can engage the assistance of qualified orthopaedic surgeons, occupational therapists and other care managers to assess the potential long-term impact of your injury. Disc herniation is a serious spinal cord injury that can cause extreme pain and limit one’s mobility for some time. More serious cases may require surgery, injections or traction to correct. Those who have been involved in car accidents, motorcycle accidents and other motor vehicle accidents can have a higher risk of sustaining spinal disc herniation due to shattered vertebrae, spinal fractures or significant back strain. Ligaments are connective tissues that anchor one bone to another. Some orthopaedic injuries, especially those occurring at major joints such as the knees, shoulders or elbows can result in ligament tears or injuries to muscles. Recovery from such injuries can require surgery and extensive physical or occupational therapy. In the most serious cases, individuals may sustain long-term disability or limited range of motion as the result of a ligament tear. We will explore all options that may be available to you given the circumstances of your case. Contact us at 416-229-4878 (HURT) to schedule a free initial consultation with Toronto bone fractures lawyer Michael A. Yermus. Mondays to Fridays from 9:00 am to 5:00 pm.